If you are an independent contractor or own your own business, you probably work many of your hours out of your home each year. Those of us who are in business for ourselves are always looking for ways to save on expenses and keep more of what we earn in our pockets (and working to improve our businesses), especially when it comes to bookkeeping and tax information. It’s easy to miss things that can add to your bottom line, and many of those things you miss come in the form of your taxes. Tax preparation is confusing anyway, but when you are an independent contractor or small business owner, it can be downright overwhelming. There are literally hundreds of different things you can deduct when you are in business for yourself. 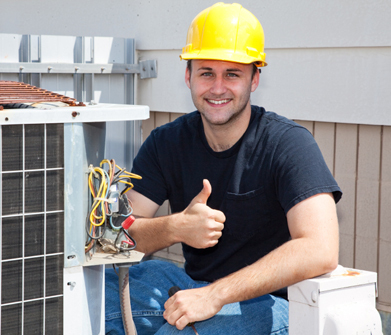 However, for the purpose of this particular discussion, we’ll focus on one: HVAC maintenance, repair or replacement. –Your home must be your principal place of business or a place to meet and deal with customers, clients or patients on a regular basis. –You have to use the space regularly and exclusively for business. This means you can’t set up a makeshift desk in the corner of your bedroom or unpack your laptop and documents on the kitchen table. You need a portion of your home to be a dedicated space for your business and not used for any other purpose (a spare bedroom or finished basement can work nicely as a home office). Figure out the square footage of your home office as a percentage of your total home and deduct that percentage of your heating/cooling expenses and any maintenance or repair expenses you have. For example, if your home office represents 10 percent of your home’s total square footage, you can deduct 10 percent of your bills as an office expense. As with everything else, it’s key to work with the right professionals. Make sure you work with a professional HVAC contractor and a professional tax professional to help with your maintenance issues and to make sure you are deducting them properly from your yearly taxes.